SUNDEEP SHARMA! – The Man who packs a punch in the Show and off it! In an industry where diplomacy is considered a virtue and sugar-coating becomes a necessity, Sundeep Sharma comes out to call a spade, just that – A SPADE!! In an Industry where actors reign supreme and glamour is all we get to see, the Ace Director of Insanely Popular Star One show, Geet Hui Sabse Parayi, forces you to do a rethink and acknowledge the grim reality behind the making of some of our favourite shows. Sundeep speaks about his experience of being in front of the Camera as an Actor as well as behind the camera as a Director. His honest and straightforward response not only grips our attention but also gives an insight into him as a person. He is a Man who speaks from his heart, which is quite evident from his ‘no-holds-barred’ responses to our queries. Read on…. Rangmunch: You have been an Actor and now are a Director. What is more challenging to you? Sundeep Sharma: Both are challenging in their own ways. On camera, it’s your face that works and one should not end up looking fake. The challenge is to show the feelings in the most realistic manner through your expressions. Behind the camera, it is the co-ordination of the Director and the crew of 40 people working with him. My concern then ranges from a Spot boy to an Actor. If both are not happy with the way things go then it is my job to make them comfortable. If any scene requires changes, I don’t instantly change it. I consult my DOP( Director of Photography) and get another feedback. 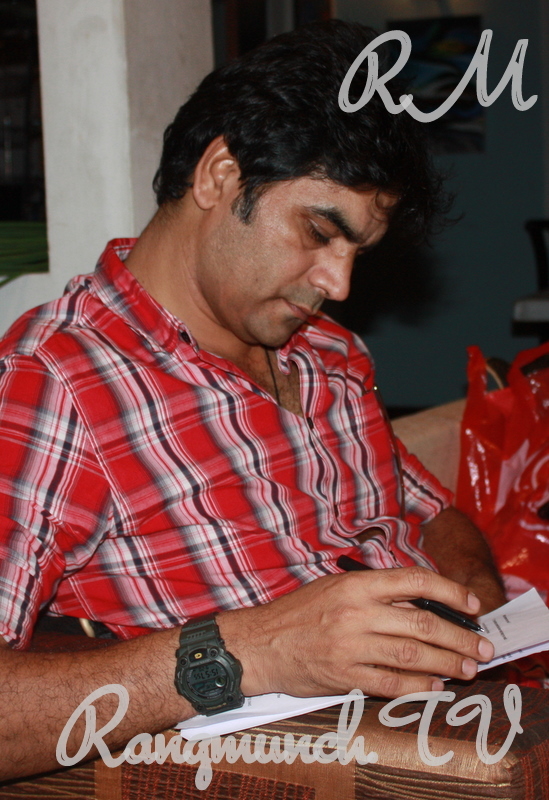 I work towards making my scenes easier and comfortable for my actors to perform. Rangmunch: Do you enjoy direction more? Sundeep Sharma: Well, it not that. If you seen how an actor is treated, then you would know the importance. He gets a spot boy attending to him the minute he gets off his car. He is given a make up room, ready-made lines to say and best dresses. If some thing falls on to your outfit at home, no one will bother but here you will have 4 people running to get things right for you. You have the best given to you. Your job entails delivering a good shot with honesty. So acting is not difficult if you know your job. Direction is tougher where each frame has to be worked on, be it a close up or a wide shot. His co-ordination with 40 people is very important. You may have a personal problem but director has to put that away because har haal mein episode toh jaana hi hai . Rangmunch: What is the first that comes to your mind when you get up in the morning and the last thing on your mind when you go to bed? Sundeep Sharma: Frankly speaking, as a Director, when I get up in the morning I can only think of how much work has to be done on that particular day. The last thing I think of is how it is all finally done, how it could have been better and then I think of ways to make it even better the next day. Sometimes you plan something else but due to unavailability of an artist or other such problems, things are executed differently. We still try to do our best under such circumstances. Rangmunch: How do you deal with a situation wherein a certain scene is planned and all the groundwork is laid, but for some reason things don’t work out? Sundeep Sharma: We alter the framework according to the situation and make the required changes. We then speak to the writers and work on the new track. Rangmunch: You were initially associated with Geet and then you left. Did you watch the show during that time and since you have come back, did you get the necessary briefing about the show? Sundeep Sharma: I don’t like to watch much of Television when I am at home. I just shuffle Channels here and there. And yes, I was given a briefing about the show. I believe the characters have to be right, story keeps changing every now and then in a daily soap. For me, what you are shooting today matters. If the content is right and the final product is good, then achieving your goal becomes easier. Rangmunch: There are times when in absence of the leads you have to make do with the body doubles and other characters in the show. Being a Director how do you cope with such pressure? Sundeep Sharma: For me, there is no pressure when it comes to shooting the scene. It doesn’t make a difference if the leads are present or not. An Episode has to be shot with co-actors and the story has to go on. Only when it comes to the body doubles, it gets slightly tricky as I feel it takes away the essence of a scene. We have to maintain that mood very effectively through shots since we don’t have much variety to show as you would with the actors. We have to make do with angles and back shots. Rangmunch: You were associated with the good part of Geet initially but now there is a lot of criticism that Geet is going nowhere and that there is no story left? Do you feel that the show can still be redeemed? Sundeep Sharma: Honestly speaking, No! For me the story finished when Geet got married to Maan and much before that the drama got over when Geet comes to Delhi and her connection with Maan started. Dev came in as a good twist and the whole drama re-started which was good. But then it had to drag after that phase, kyuki story mein kuch bachaa he nahi tha. Uss mudde ko agar waha tak rakhtey, toh bohot interesting hota par ab toh hit and run waali cheez hai . Rangmunch: The show only had Nayantara as a negative character but after she left there is nothing negative now. Do you think having a negative character is essential as it challenges the leads? Sundeep Sharma: Story has to move on. If you pick a novel or a book, you have a start and a finish to it. 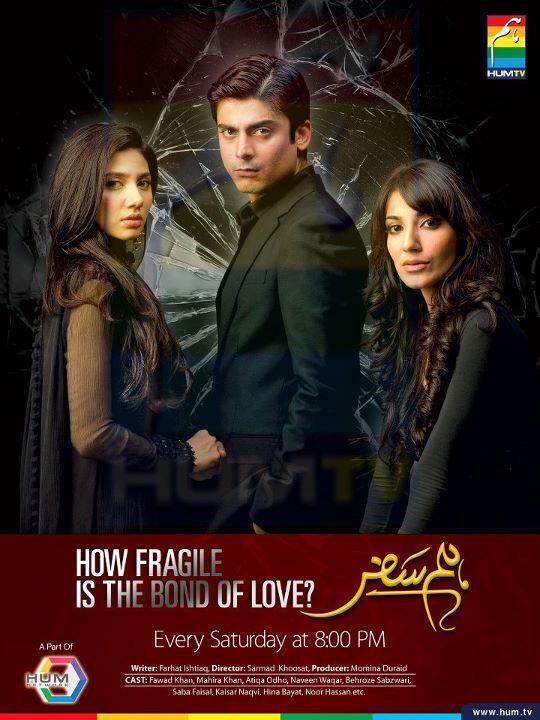 But in daily soaps what is shown in the first episode gets over by the 10th episode. Some other track is shown next. There is no story in that. Then the debate of many creative meetings, production house meetings start taking place with TRPs being the main concern. The story by then is diluted and what was meant to show is lost somewhere. Negative and positive character just becomes a ploy to move the story forward. Its show business at the end of the day. The face sells, even if the acting is zilch. I have personally seen this and faced this. Rangmunch: How do you cope with a situation where you are not convinced with the script you have in hand? Sundeep Sharma: Normally in an ideal scenario, one would discuss this with the writers, but in a daily soap the Director doesn’t get a chance to interact with the writers or other members of the show. We only interact with the Creatives. If a scene is workable and changes can be made then good or else I work with whatever is given to me. You can’t stop a scene because you don’t like it, since something has to go on air for that particular day. Rangmunch: As a Director, when do you think is a good time to wind up a show? Sundeep Sharma: Its like if there is a seed, try to extract the juice as much as you can, as long as you can. But the day there is nothing to do and one loses interest, either quit or shut the show if you have the power to do so. Take MJHT, what the initial story was 3 years back was not there at all during the end. 5 days of shooting used to bring comic relief as it was good in the beginning. But when the story telling got over then it became a slow unenjoyable process. Rangmunch: How do you deal with a situation where you see an actor throwing tantrums, and co-actors around him as well as the scene getting affected by it? 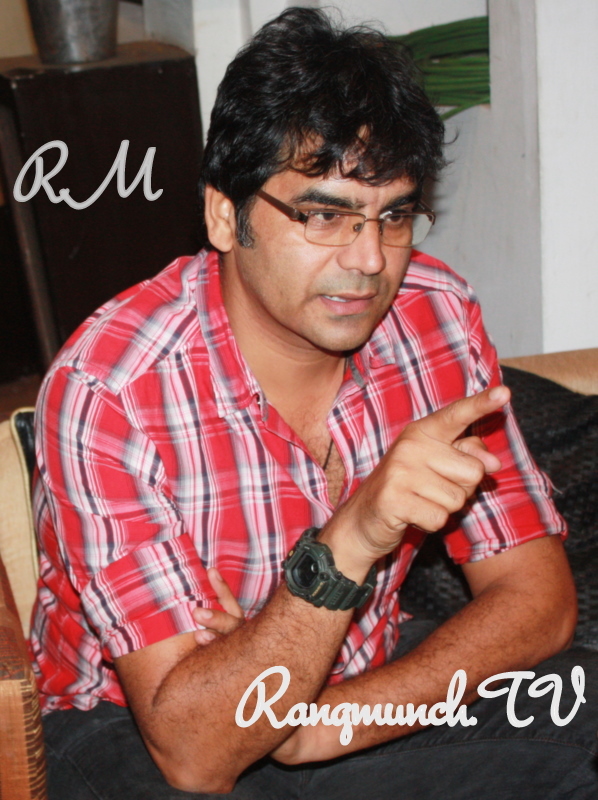 Sundeep Sharma: From the time a person comes onto a set, one needs to be professional. When you are called for a shot, it is your duty to come and take your position but the problem arises when that does not happen. Coming from the make up room, sau cheezein hongi (There are hundreds of issues). You end up cracking jokes with your friends, your phones never stop ringing, then you end up getting distracted. Actors today think that with a little popularity they can manage things around them. Thoda dhyaan bat jaata hai (attention is divided). I have been an actor too, and I realize that the discipline back then was immense. No one from the Production House ever dared to say anything to an actor, but now the lowest guy from the unit can come and say anything about an actor. Today with little recognition and popularity that the actors have, and success going to their head it does get problematic at times. That’s why though I am a director I explain what I think from their point of view as I have been there too. If he or she understands, well and good, otherwise “jitney din ke chandni hai, utne din he jagmagao gey” (You would shine as long as there is light). In the 90’s, when Vinod Mehra ji was working with Mahesh Bhatt, I was then working with them in the show Imtihaan. I was told “Sandeep any one can be an actor, but if that person is disciplined, controlled and good with his craft, he will work for life.” Vinod Mehra ji was a good actor and worked till his last breath. The same is spoken for Avtaar Gill. Mahesh Bhatt ki koi bhi film ho, Avtaar Gill rahega he rahega. I would also say that phone ek badkismati hai, ki logon ke paas ab waqt he nahi hai apne kaam ke liye. They don’t have anything to say to Directors other than technique. There is so much more involved in a shot. There is no personal interaction with the actors. Sab kuch ek saath hota tha. Ab who cheez nahi hai. Whatever you have learnt you have to impart that too. That is life.” jo paaya hai , woh aapko dena bhi hai”. I do keep a good relation with my assistants and do what was taught to me back then. I am a friend to all my colleagues on the set. Rangmunch: Have you ever become so involved in your work that you have not been able to differentiate between real and reel life? How do you then break away from it? Sundeep Sharma: Yes, it has happened with me loads of time as both an actor as well as a Director. Its not that I get so carried away that it becomes impossible to snap out, but yes for few minutes reel life does become real. Some times when a scene touches you so deeply, it becomes difficult to disconnect. It is at times like these that some good music while driving back home or just staring out of the window and observing different stuff helps you disengage. 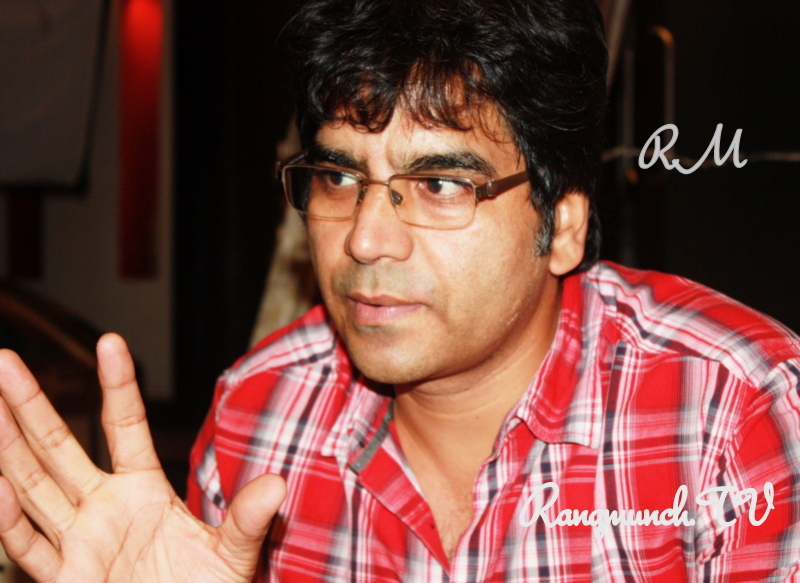 Rangmunch: What problems do you face as a Director when a character grows bigger than the story? Sundeep Sharma: It is good when a character grows bigger than the story. But the problem arises when instead of the character; an actor becomes bigger than everything else. In epics such as Ramayan and Mahabharat, the characters were shown as larger than life. 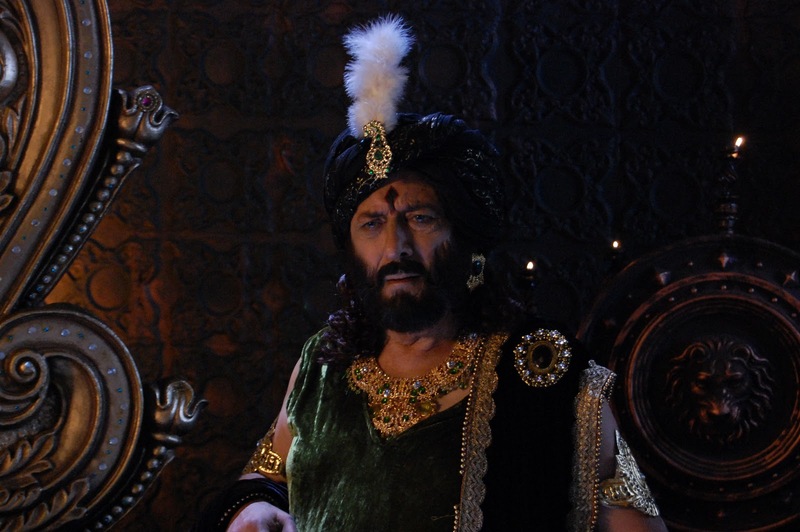 In recent remakes of Ramayan and Mahabharat the impact is not as much as the original epics. When you think of Ram, only Arun Govil comes to mind. In the late 80’s and early 90’s, if you venture into the interiors of any city, you would see pictures of Arun and Deepika as Ram and Sita. So basically, actors should take care of their limitations and thinking. Take GEET for instance. The character is in the name itself. Now, when an actor starts acting high and mighty and begins to deviate from the character, then it becomes difficult to place them accordingly in the frame. There would be no problem if the actor performs the character. Rangmunch: Why is it that a show is known through the main leads and less importance is given to people who work behind the camera and equally contribute towards its success? Sundeep Sharma: (Smiles) “Yeh toh dhoop chao waala khel hai. Dhoop aati hai, toh sab chamakne lagta hai, aur jaise he chao aati hai wohi cheeez dull ho jaati hai”. Actors are known for their length and popularity. You cannot have another Tulsi, because that show ran the longest. But sorry to say Geet ko saal bhar ke baad bhi koi zyaada yaad nahi karega. If 8 shows run daily for 6 days, we will have 48 shows altogether. How many will you remember? If you see them daily, you will remember them but now a days practically everyday you have new shows coming up on various channels, so it becomes difficult. That way I have immense respect for Farah khan as she gives her crew the desired place on the screen every time. Hats off to her!! The difference between a movie and serial is if you do one good movie, you will be remembered for good, but in serials, it is a long process. Out of sight out of mind waali cheez hai. Rangmunch: How do you react to harsh comments from your colleagues with respect to your work? Sundeep Sharma: Positively. If any criticism comes from an outsider or a stranger, it is always taken in good spirit. But, if criticism comes from the Production House in relation to a scene, then that is definitely debatable. At the end of the day, footage of a scene matters from the Production House’s perspective. Rangmunch: Would you correct a person who makes the same mistake you did during your formative years in this industry? Sundeep Sharma: I would 100% correct them. I will go and ask that person not to make that mistake. Rangmunch: If you get a chance to act again, will you take it up? Sundeep Sharma: I do get offers even now, but I don’t want to do it mostly due to the age factor. I was offered a role in “Kyunki Saas Bhi Kabhi Bahu Thi”. But now, I don’t feel I’m in the game of acting anymore. Rangmunch: You have been in this industry for a very long time now. What has this industry taught you? Sundeep Sharma: My learning is that God has made all of us the same so learn to give and get. Don’t expect that if you get respect, then only you would reciprocate. That is wrong. Always give before receiving. On behalf of Rangmunch.TV, we would like to thank Sundeep for patiently responding to our questionnaires and obliging us with this wonderful interview. International Segment – ‘Home Improvement’ on Star World India – Twenty years on, the classic still improves homes! POPCORN (Salt, Cheese, & Caramel) – “The Three Musketeers” (3D) – All for One, One for all!